Learn to create a Chicago Bibliography for your research paper. The Chicago Manual of Style has two types of citation systems. They are the Notes-Bibliography system and the Author-Date system. The type of citation list that will be used at the end of a Chicago bibliography style work is determined by which citation system is used. For instance, the Notes-Bibliography system requires a bibliography and the Author-Date system requires a references page. Both the Chicago bibliography and references page serve the same function; they list all of the sources used within a work in an organized manner. The citation system that is used is determined by the content of the work. For instance, a writer that publishes research on humanities, art, or history will cite sources using the Notes-Bibliography system. The Notes-Bibliography system uses a Chicago bibliography to collect all of the sources within a work. Instead of placing citations within the text, the Notes- Bibliography citation system uses a superscript number within the text. This superscript number corresponds to a note that can be found at the foot of the page. All citations are then collected in a bibliography that contains all of the sources used within the research. The Chicago bibliography is used only with the Notes-Bibliography system. The Notes-Bibliography system is often used in the humanities, arts, and history. This type of Chicago citation requires footnotes as a means to reference sources. 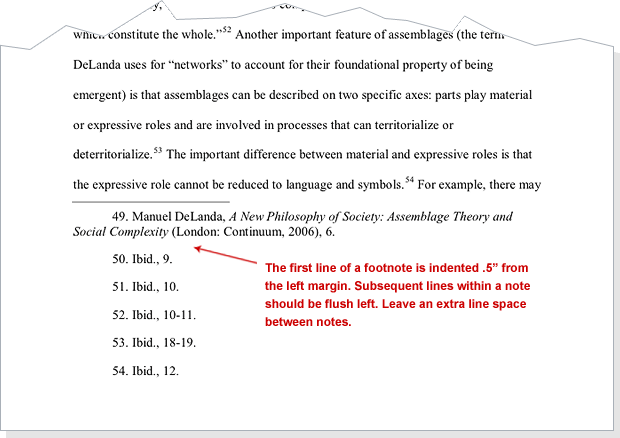 Footnotes can be found at the end of each page where a source was used. These footnotes correspond with a superscript number that is located within the text of that page. 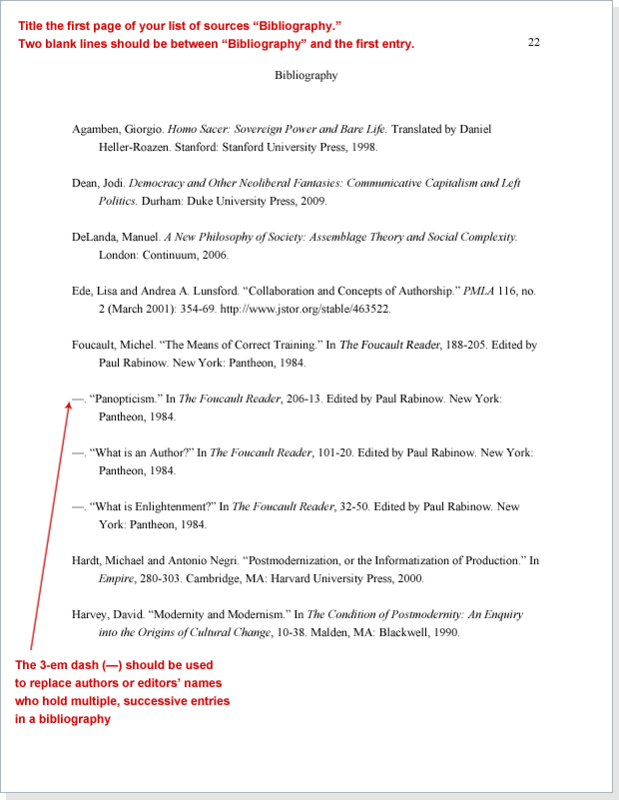 Instead of having to flip to the bibliography at the end of the document, footnotes allow readers to quickly reference a source at that current page. Each bibliography contains all of the sources used within a research work. The Notes-Bibliography system uses the Chicago bibliography, whereas, the Author-Date system uses the Chicago reference list. Both the Chicago bibliography and reference list provide detailed information about every resource used within the work.